Protein bars are a staple food of most athletes, fitness enthusiasts and people on the go who want a healthy alternative to fast food. Most of the large food and beverage companies now make protein bars, but there is a healthy market for independent food sellers, particularly those specializing in preservative-free, organic or specialty items. Perfect the recipe. As a business owner, you'll probably never stop experimenting with new recipes, but you need at least one to get you started. Whether you've created this yourself or had it handed down to you from your Great Aunt Betty, start with a protein bar recipe tailored to your customers' palates. You may specialize in all vegan ingredients, or recipes conforming to a recognized nutrition plan, like Atkins or the Paleo (caveman) Diet. Determine and analyze your target market to understand their needs. If you have a particular passion for long-distance hiking, you may choose to make protein bars in waterproof, biodegradable packaging with a six-month shelf life without refrigeration. 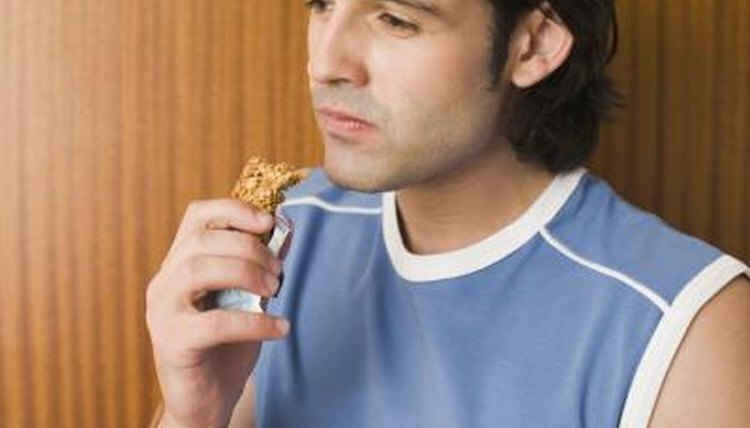 In all cases, you should be targeting a group that is growing or spending more of their income on protein bars. This will ensure you have a lasting business. Secure suppliers for all of your raw ingredients and supplies. This includes not only the protein bar ingredients, such as bulk whey protein or macadamia nuts, but also business supplies such as packaging and brochures. Ensure that the supplier is reputable and will always have supplies when you need them at a reasonable cost. Select distribution outlets. You may choose to sell online via your own website or by placing your products at a larger e-commerce retailer, such as Amazon.com. Alternatively, you may strike up relationships with local stores, such as the local food co-op, farmers markets, vegan bakeries or other small shops willing to carry your products for a commission. Market your products. Aim to get as much exposure as you can to the specific customer group that would be interested in your products. For instance, if you can get a journalist from Dance Magazine to do a piece on your company, or if you sponsor a local bicycle race, you can be sure that the people your reaching are your customers. Marzec, Evangeline. "How to Start a Protein Bar Company." , https://legalbeagle.com/5879539-start-protein-bar-company.html. Accessed 22 April 2019.